I would like to say a very big THANK YOU to you for the lesson yesterday. Painting is my hobby. 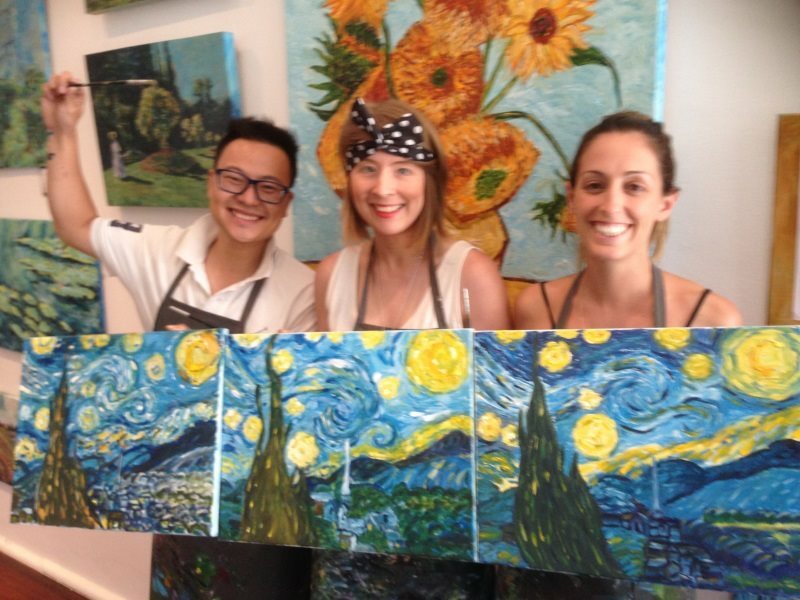 I am an avid painter and I was initially sceptical on whether your lessons would be of any use to me. However, your teaching method is so unique and I have learnt new techniques in every single class. What I valued most that your lesson gives (which other art classes do not) is that it helps to improve self-confidence. 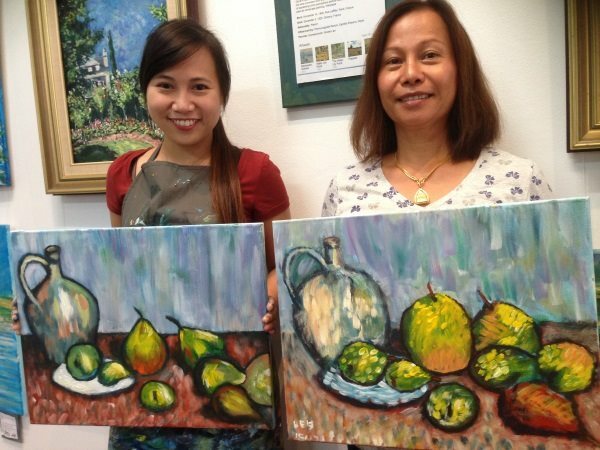 I now apply your technique to my paintings and the quality of my paintings have improved tremendously from just a few lessons. Enjoy one-on-one art instruction from myself, Peter Inglis. 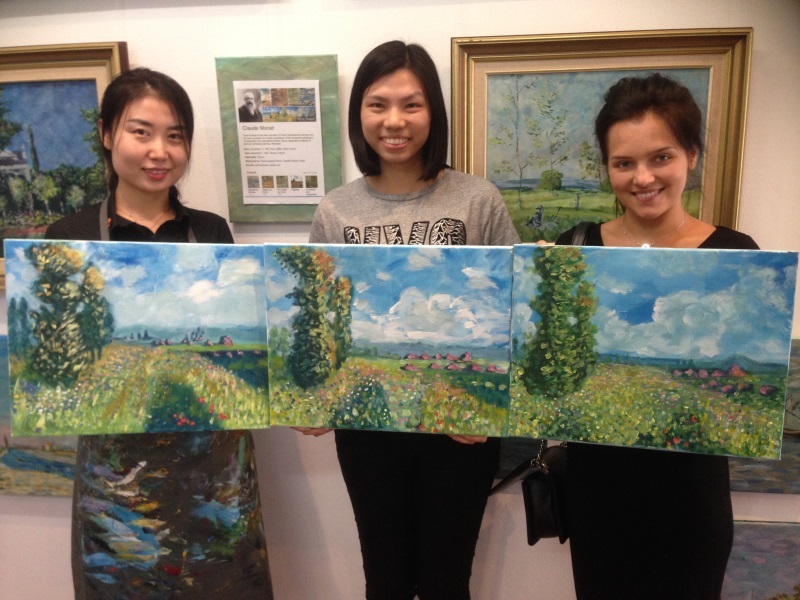 I have written more than 12 books on art and created a syllabus which has seen hundreds of people enter the art world through painting masterworks by Van Gogh, Monet and Cezanne. 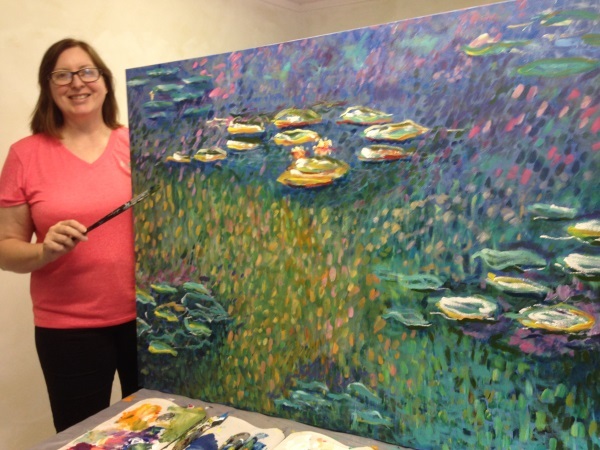 Michelle is the happy owner and the creator of this interpretation of Monet's Waterlilies No.1, 1916. 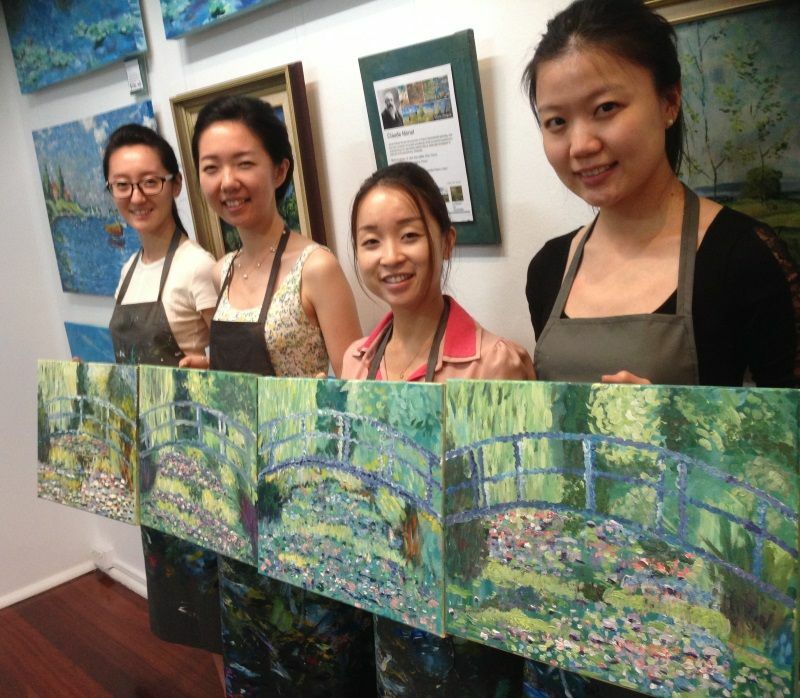 Having participated in six masterwork painting sessions Michelle felt ready to tackle a larger scalework. She had previously painted this piece in a regular session, and so was already familiar with the subject. To complete this large version required 8 hours of private one-one-one coaching.